Child custody issues can take an emotional toll on both children and parents alike. 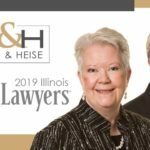 At the law firm of Bush & Heise, we understand the emotional turmoil generated by custody disputes. We will help represent your interests with sensitivity and compassion and work toward an outcome that is best for yourself and your child alike. If you need legal assistance with a child custody matter, contact a Barrington child custody lawyer serving Cook, Lake, and McHenry Counties at 1-847-382-4560 to discuss your situation in a free initial consultation. The guiding legal principle in all child custody matters in Illinois is the “best interest of the child”. There are a number of factors that a court will take into consideration when trying to determine what is in the child’s best interest. Ideally, the parents will be able to agree on custody determinations in a collaborative or mediated divorce context, but when that is not possible our experienced lawyers will use traditional litigation to protect both you and your child’s interests. There are three distinct types of child custody that may be granted by a court: sole custody, joint legal custody and joint legal and physical custody. Sole Custody: This type of custody is exclusive to one parent and gives the parent primary physical control of the child as well as the right to make decisions concerning residence, health, education, and welfare. The noncustodial parent may have visitation rights. Joint Legal Custody: This type of custody means that both parents share the rights and responsibility to make decisions regarding the child’s health, education, and welfare. Joint Legal and Physical Custody: Both parents have the authority to control and supervise the child, and the child’s physical presence is shared. We can inform you of your custody options and visitation rights. When possible we will try to get both parents to work together on a custody agreement. 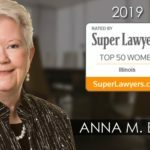 Attorney Anna Markley Bush has extensive experience in child advocacy matters, having worked as a guardian ad litem, child representative, and attorney for the child. A court will apply a number of factors in determining who should be granted initial custody; however, the passage of time may change the situation and a modification of custody may be in order. We can represent you in any situation where a child custody order may need to be modified.